Not a larger sports icon exists on the planet than North Carolina's own Michael Jordan. Hailed as the greatest basketball player ever, Jordan led the Tar Heels to a national title in 1982, sinking the winning basket, then propelled the NBA's Chicago Bulls to six league championships featuring two "three-peats." Once the world of playing basketball had been conquered, MJ turned to basketball management; first with the Washington Wizards, and since 2006, Charlotte's Bobcats. How has the transition from world's greatest player to front-office manager maven gone? Let's just say that if failure were points on a scoreboard, MJ would still be a leading scorer. 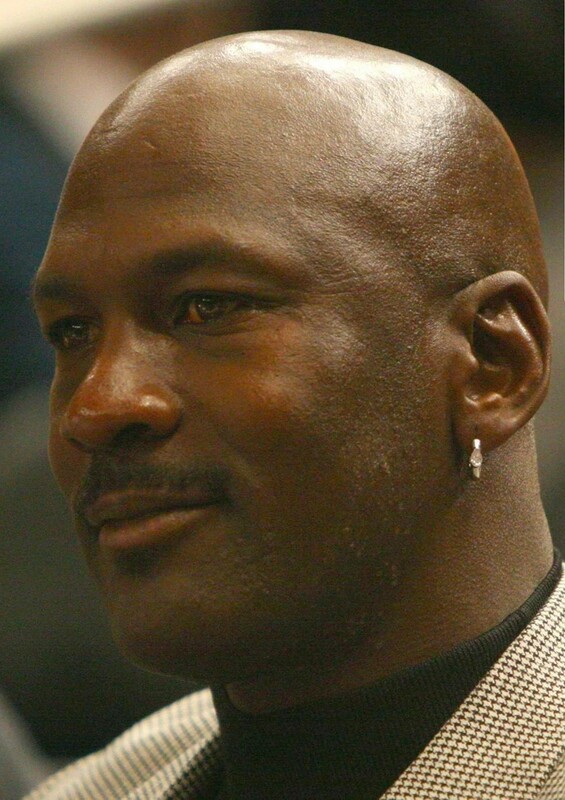 Jordan was hired by the Washington Wizards Jan. 19, 2000 as president of basketball operations. MJ dumped expensive contracts of unpopular players with a plan to create salary cap space and build through the draft. Sounded like a good plan but it's implementation revealed MJ's post-playing career flaw: his inability to judge basketball talent. It started with Jordan's initial 2001 draft with the Wizards when he selected Kwame Brown as first overall pick, a decision regarded as one of the worst picks ever in draft history. Today, the two players selected after Brown are starting in the league while Brown was traded after four years (strangely reappearing in Charlotte for the 2010-11 season). With the Wizzes not improving, Jordan decided to come out of retirement and lead them to the playoffs, but he faced one big problem: players he had assembled did not like him and vice versa. Jordan bickered with his teammates, and the situation only got worse over the next two seasons. (Ironically, MJ had a fallout with Brown, his No. 1 pick.) After failing to make the playoffs again and his body now 40 years old, MJ retired one final time. He would resume full-time duties as head of basketball operations for the Wizards, until a man named Abe came along. I have three favorite Abes. First is our 16th president, Abe Lincoln. Second is Abe Vigoda, immortalized as Detective Fish on the classic sitcom "Taxi" and, coming in a close third, Abe Pollin, deceased owner of the Washington Wizards. Pollin, observing the wreckage of Jordan's management, had had enough. One day he summed MJ and reportedly told him, "I don't want to partner with you." It could well have been the only time since his 9th grade dance that Jordan had been told that. His Airness was stunned. Pollin made the right call. In Jordan's time running the team, the Wizzes had a record of 110-179. The team had less talent than before he had arrived and no plan for the future. No one had ever fired Michael Jordan before, but that did not stop Abe. Rest in peace, Mr. Pollin. Opportunity would come knocking again at Jordan's door when a new NBA team popped up in Charlotte. The Bobcats were owned by BET founder Robert Johnson, who didn't know Charlotte or - we'd soon come to find out - how to run a basketball team. In 2006, seeking to boost local support, Johnson brought Jordan in as minority owner and managing member of basketball operations. It cost Jordan between $10 million and $20 million, but at least he had control of basketball decisions. He took over the owner's role in 2010, when Johnson sold the Bobcats. Would the best basketball player ever learn from his management mistakes in Washington? Jordan's first major decision for the Bobcats was hiring a new coach for the 2007-2008 season. After the team improved slightly in the second half of their third season, the new coach would be charged with leading the expansion franchise toward the playoffs. Who would be Jordan's choice? A seasoned veteran from the NBA or maybe a hot-shot college coach? Neither. In what is perhaps the oddest coaching selection in basketball history, Jordan selected Sam Vincent, a former Bull's teammate. No one had ever heard of Vincent, and for good reason: he had coached almost entirely overseas, most notably for the Nigerian's Women's Olympic team in 2004, leading them to the only win by an African nation in Olympics history. Vincent was finishing his first year as an assistant for the Dallas Mavericks - his only NBA coaching experience - when MJ appointed him. The coaching experiment was a disaster. All the progress made in the team's first three seasons was lost as Vincent's inexperience hampered the team from running practices to game coaching. Jordan had to admit his error before moving on to commit another, the hiring of Larry Brown as coach. Though Brown had decades of experience, he also bought his megalomaniac temperament. His hiring, while briefly successful including a playoff loss, also turned to dissension. Jordan eventually fired him, too. Now, on his fourth coach in seven years, Jordan has hired Mike Dunlap, a second unknown. The Bobcats current season includes an 18-game losing streak. MJ's winning percentage in Washington was .3824. Through last season, his winning percentage in Charlotte was .3794. The winning percentage last year was .1060, the worst in NBA history. Charlotte's NBA future is controlled by a man who is incapable of bringing winning basketball to the Queen City. The man has talent but has no idea how to find it.